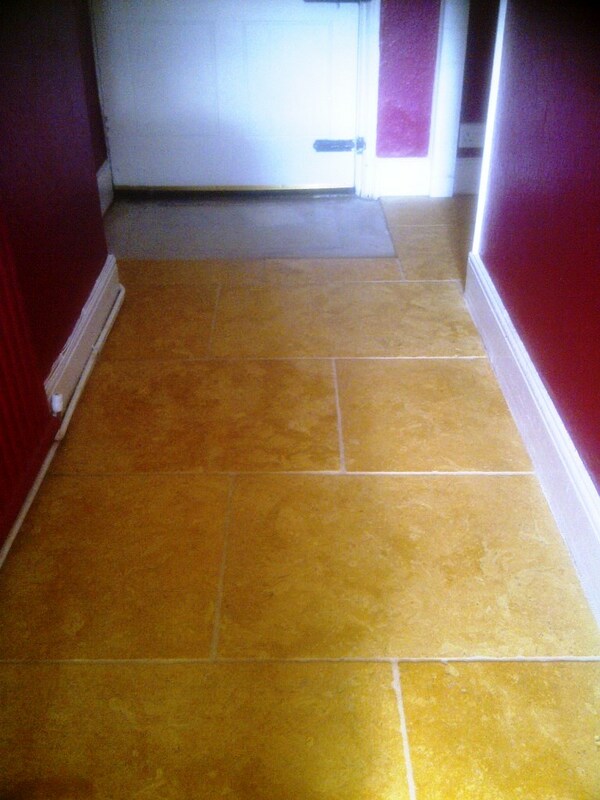 These Noche Marble tiles installed in the hallway of this house in Oundle are a premium product with a warm antique look however like any natural stone tile it needs to be sealed in order to prevent dirt becoming ingrained in the pores of the stone. 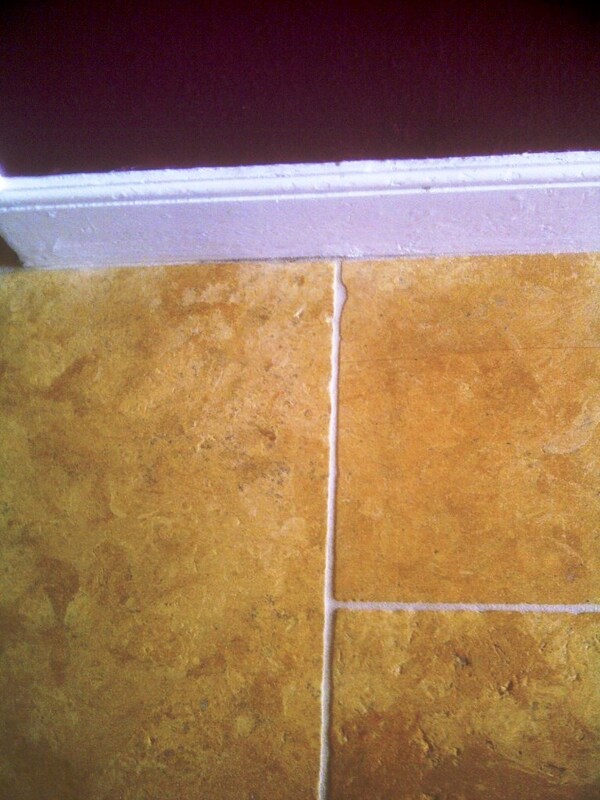 In this case the sealer had worn off and was the floor was now difficult to keep clean so we were called into the deep clean the tile and grout and then re-seal. 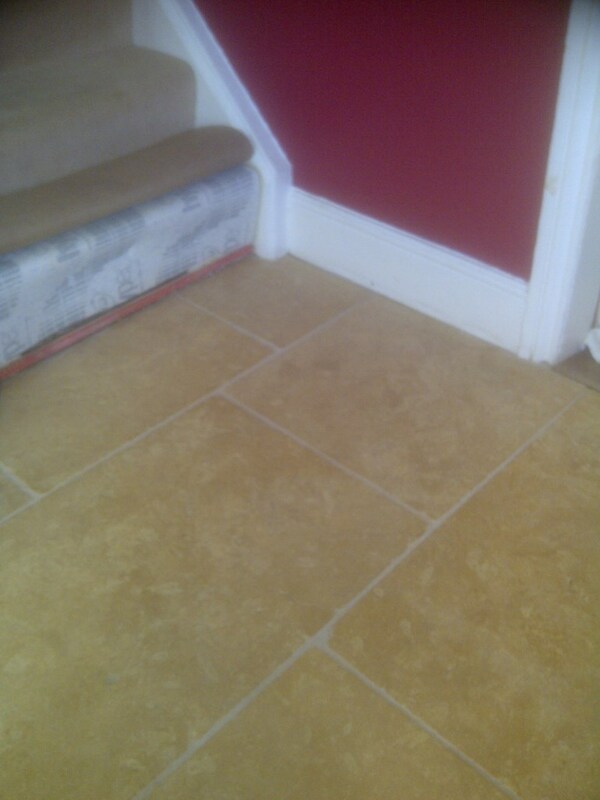 Sealers can last a few years depending on wear. To deep clean the tile and grout and remove any remaining sealer I combined a strong dilution of Tile Doctor Pro-Clean 50/50 with NanoTech UltraClean. 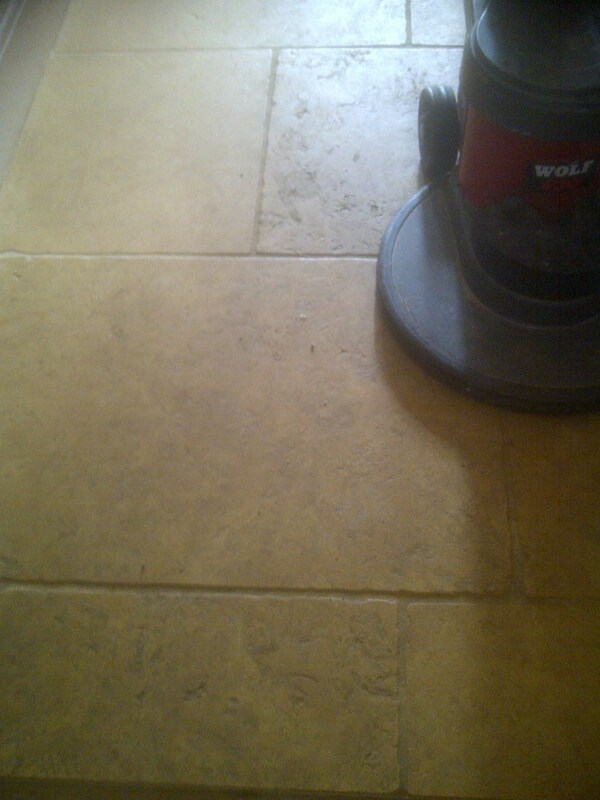 The UltraClean adds tiny abrasive particles which make a more effective cleaning product, both products are safe to use on natural stone floors. It’s best to let the solution soak into the tile for ten to twenty minutes before being scrubbed in with a rotary machine fitted with a scrubbing brush or black scrubbing pad. 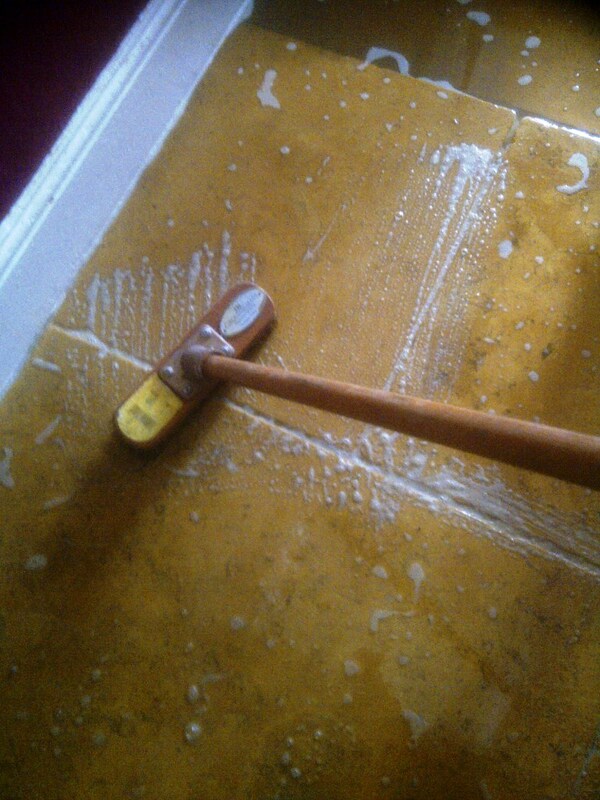 The rotary pads can struggle to get into the grout lines so it’s best to use a stiff brush along those. 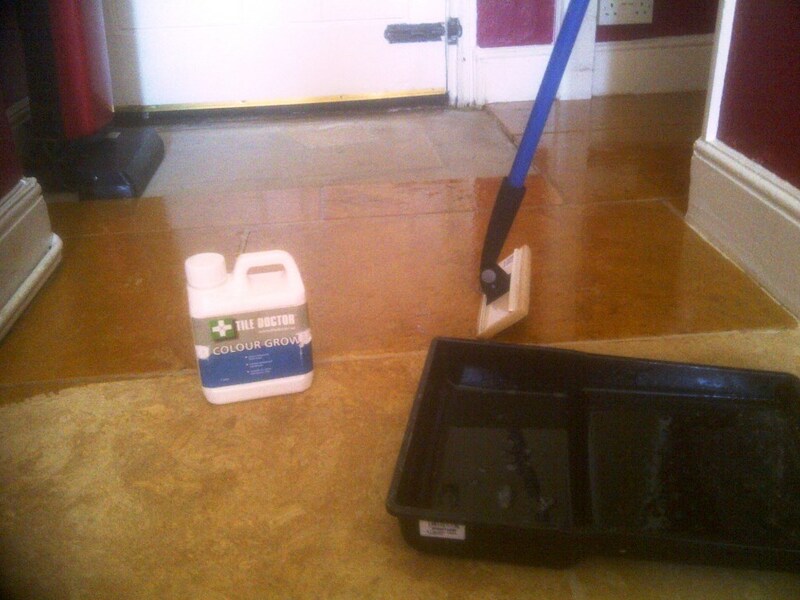 To remove the soiled cleaning solution and rinse the tiles I use a high pressure spinner tool which is a brilliant machine for tile cleaning as it deploys water under high pressure water whilst extracting the dirty water back to a container in the van. 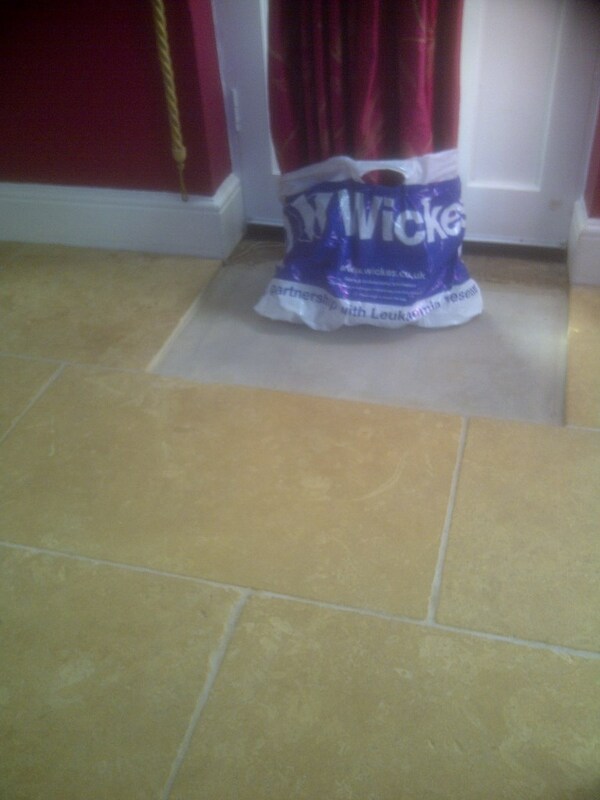 The floor was left to dry out for a few days and we returned the following week to seal the tiles using a damp meter first to verify the floor was indeed dry which it was so we proceeded to seal the tiles using two coats of Tile Doctor Colour Grow. Colour grow was chosen as it’s an impregnating sealer the soaks into the pores of the tile bringing out and enhancing the natural colours in the stone in the process. 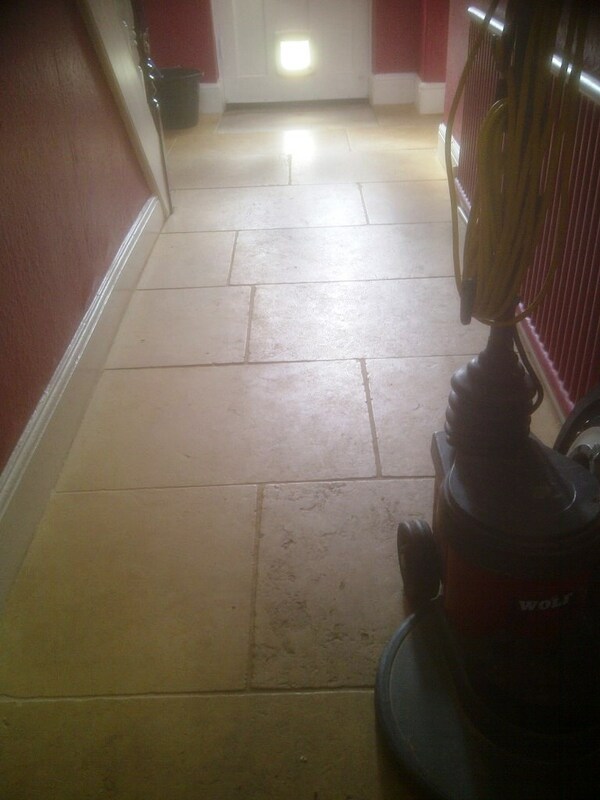 I took lots of photographs so you should be able to see how much cleaner the floor now looks, especially the grout and how the colour has been restored to the Marble.